On Day two of the defence closing speech Bernard Condon SC went through the evidence of Lowry, detailing what he told the six men and six women is evidence of her attempts to rewrite history. Quirke (50) of Breanshamore, Co Tipperary has pleaded not guilty to the murder of Bobby Ryan, a part-time DJ known as Mr Moonlight. Mr Ryan went missing on 3 June 2011 after leaving his girlfriend Mary Lowry’s home at about 6.30am. His body was found in an underground run-off tank on the farm owned by Lowry and leased by the accused at Fawnagown, Tipperary 22 months later in April 2013. The prosecution has claimed Quirke murdered Ryan so he could rekindle an affair with Lowry (52). Condon opened by telling the jury to consider the quality, not the quantity of the evidence they have heard. 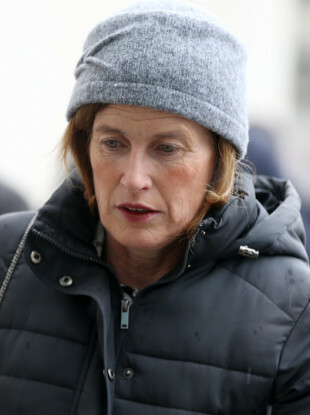 Much of it, he said, relied on Mary Lowry and even if proven true, would say nothing about murder but suggest she was in a relationship with Quirke that was at different times good, bad, and indifferent. The end of the relationship was bitter and petty, like many relationships when they break up. Lowry’s first attempt to revise history, he said, was when she said that the accused was not good friends with her late husband Martin Lowry. All the evidence, he said, states otherwise. In the witness box she described her affair with Quirke as “sordid” but Condon asked if this was just her talking with hindsight, looking back on something she now regrets and trying to put herself in the best light possible. She had also said that she was “controlled” by Quirke but, Condon said, this is based only on Lowry’s unsupported evidence. He further asked whether the episode when she gave out to Bobby Ryan for five hours travelling back from Bundoran because he had spent the previous night dancing and talking to another woman was evidence that Lowry was controlled or controlling. She had made light of it, Condon said, telling the jury that his ear must have been “reddened”. But Condon reminded them that Bobby Ryan’s response was to suggest that they end the relationship. She lied in her account of what happened in Bundoran, Condon said. Firstly, she told gardaí that Bobby wasn’t feeling well and didn’t want to dance. When he went to the toilet she started dancing with another man and when she came back Bobby was dancing with another woman and spent hours chatting to her. In her evidence to the jury, Condon said, she said she asked Bobby’s permission to dance with another man and he said it was fine. This, he said, was an “out and out lie”. She had also changed her story, counsel said, from saying that Bobby had met the woman the night before to saying this was a woman he knew from years ago and they were just chatting about old times and therefore there was no problem. If she can’t give a coherent story about this incident, Condon asked the jury how they can believe what she says about Patrick Quirke. Email “Mary Lowry's evidence called into question by murder accused Patrick Quirke's defence laywers”. Feedback on “Mary Lowry's evidence called into question by murder accused Patrick Quirke's defence laywers”.